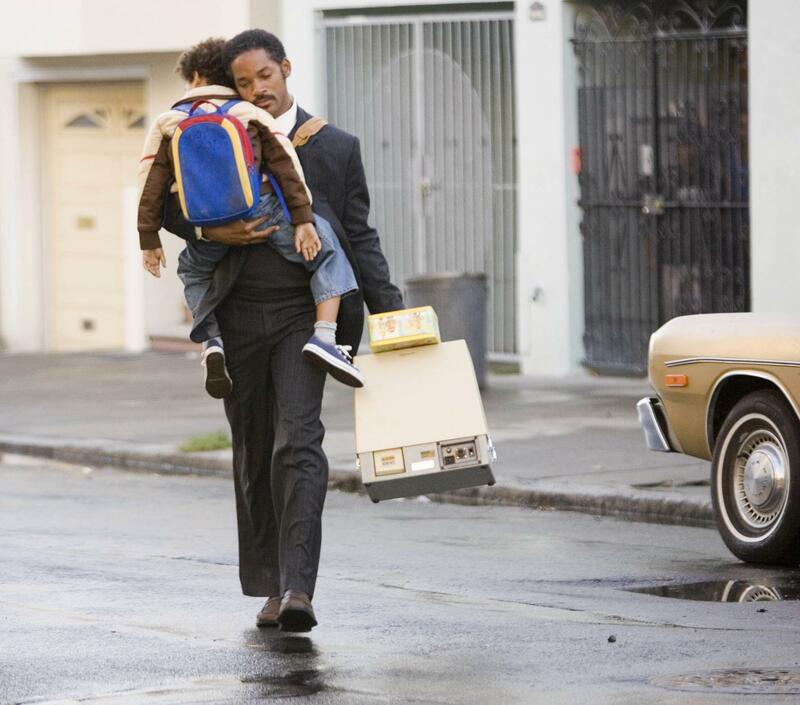 Set in 1981 San Francisco, Gardner lives in a run-down neighborhood with his family, who seem on the brink of poverty. These financial strains cause an irreparable rift between Gardner and his wife early in the film. After they separate, Gardner gets custody of their son Christopher (played by Smith’s actual son Jayden. Cue the “Ah’s”). Despite these troubles, Gardner decides to quit sales to enter stocks as an unpaid intern. But Gardner struggles to find a place to live after he is evicted for not paying rent. For nearly a year, Gardner and his son must sleep in a church-run homeless shelter as he pays his dues in time and hard work. But Gardner is able to hide his circumstances from those at his work, and through his ingenuity and determination he eventually gets offered a full-time position. He eventually goes on to establish his own multi-million firm. It’s essentially the American dream realized on screen. However, the reason I am focusing on this film during Sustainable Happiness Week is to inquire into its underlying message about happiness, which feels problematic to me. Though financial security is a domain of happiness, it is notably just one in ten. This film seemingly defines happiness only as financial success. 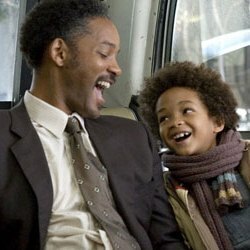 As a film review by The New York Times states, “Chris’s pursuit of happiness eventually becomes interchangeable with his pursuit of money…His desires aren’t just upwardly mobile; they’re materialistically unbound.” Yes, Gardner wants a more secure, safe situation for him and his son, but he also wants to be in the top 1%. And he won’t be completely happy until he makes it there. If we examine Gardner’s pre-millionaire situation through the lens of the ten happiness domains, we see that he lacks in some key areas: financial security, environmental quality, confidence in government, and perhaps even social connection. We can viscerally see that he is unhappy, and rightfully so. But will a high-paying job really solve all these problems? We must beware of promoting the American myth that professional/financial success leads to happiness. Although they can help, money and status must work with other mitigating factors to promote true personal satisfaction. Gardner’s inner monologue: “I started thinking about Thomas Jefferson and the Declaration of Independence…how did he know to put the pursuit part in there? Maybe happiness is something that we can only pursue and maybe we can never actually have it.” But his perspective changes by the end of the film, when Jefferson makes it as a stockbroker and seems to achieve happiness. The end implies that landing this job ends the pursuit.